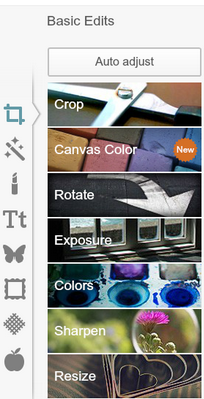 Have you ever wondered how to watermark photos in PicMonkey? Our easy tutorial shows you how simple it is and you will be so glad you did! 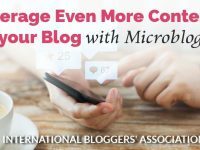 As bloggers, we know how a well-placed, well-taken photo can enhance a blog post. It can be shared, pinned, liked, and tumbled. But, how do you protect your photos from others saying they are theirs? You need to watermark them. 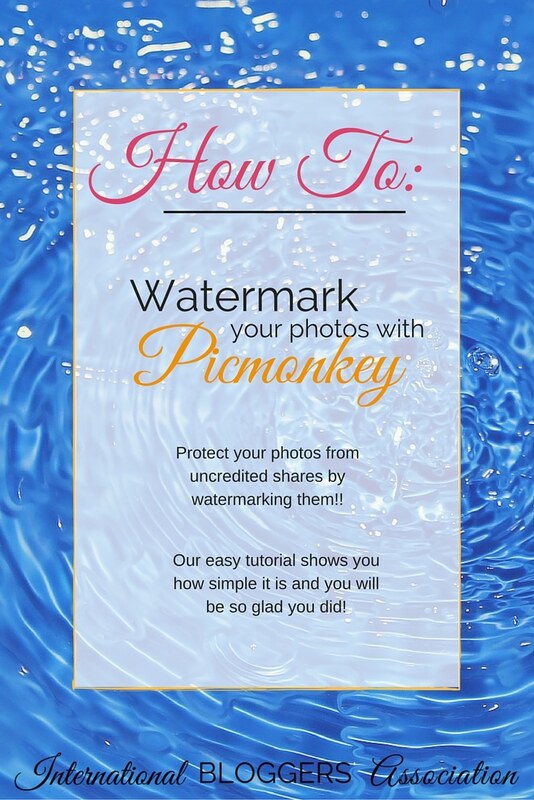 You don’t have to have fancy software or plugins to watermark photos – this tutorial will help you watermark your photos with PicMonkey. This is a free virtual software that is very versatile and user-friendly. Before we start, be sure and ‘Pin’ this post so you can easily find it later! So, grab your latest photo and let’s get started! Click the edit button, find your photo and click okay. Adjust your photo as needed – you can crop, adjust the exposure or anything else you like. Since we are going to work on watermarks today, click the Text Option. Here, you will find all kinds of text options to make your watermark (and title, if needed) for the photo. I recommend choosing a font that complements your blog theme and is easy to read. Click once to highlight the font you like, then click add text. 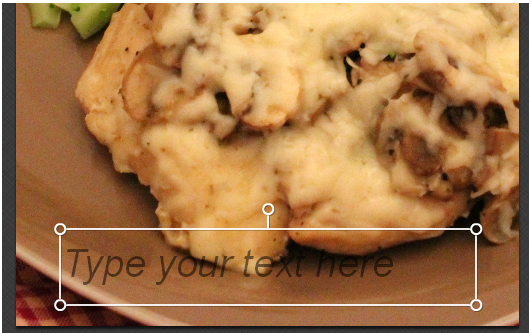 A text box will be added to your photo. Click in the box and type in your watermark information. For my personal blog, I use ©www.minivandreams.com. As you can see, it is rather hard to read. You can change the colors of the font, change the size, and create a faded effect based on the look you are going for. If you know the Hex colors from your blog theme, you can double-click to the right of color and add your customized color code to make your watermark match. (I changed it from 00000 to fafafa to match my blog.) 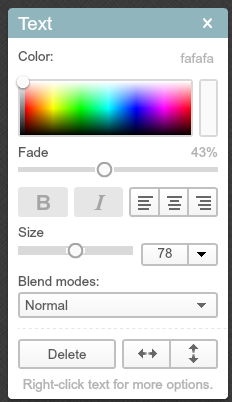 You can use the slider to create a faded effect or size. You can also change the orientation in the box (i.e. center, left justified, right justified). Click save to save it to your hard drive and you are good to go! As a blogger, I highly recommend you watermark all your pictures before placing them on your blog, especially if you are cross-posting to social media (Facebook, Pinterest, Twitter, etc.). This protects you and deters others from attempting to steal your photos. There are several online photo editing programs available, I happen to use PicMonkey because it is easy to use and very intuitive. 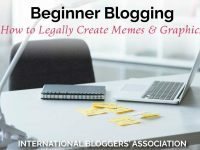 Plugins are available for WordPress blogs, but I like the flexibility of being able to move my watermark around as needed and add titles if I want. Now, go find some photos and get to watermarking! Don’t forget to ‘Pin’ this to your favorite Pinterest board. It will make it so much easier to find later! About the Author: Julia is the mom of twins, a wife, and an accountant. In her spare time, she scrapbooks, makes cards, designs jewelry, cooks, and sneaks naps. You can visit her at Mini Van Dreams…and Dirty Dishes where she blogs about life, crafts, recipes, social good, and more. She loves hearing from her readers!